The Raptor 700R SE, with its special color, graphics and GYTR parts, continues to reign as the dominant sport ATV with supreme performance and style. 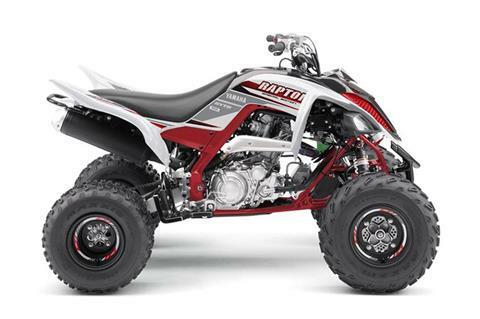 ASSEMBLED IN THE U.S.A.: The Raptor 700R SE is proudly assembled in the U.S.A., alongside Yamaha’s 4x4 and Side x Side utility vehicles. 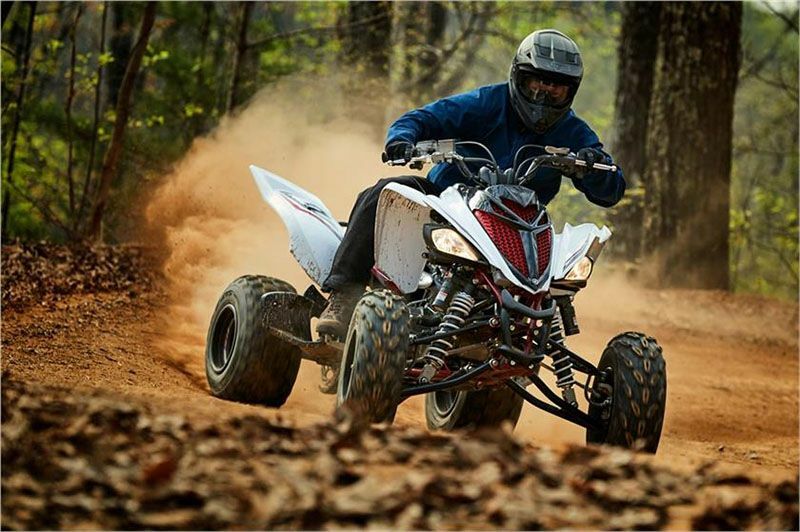 ROBUST TRANSMISSION: Race-bred five-speed transmission with reverse, along with Raptor 700R SE’s monstrous powerband, means there’s a choice of gears in just about all situations. 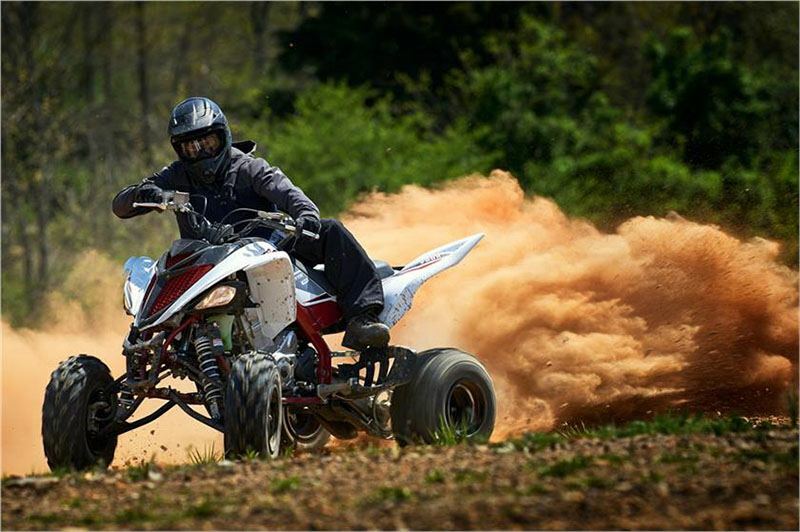 YZ-spec ratchet shifter ensures smooth, resistance-free shifting under power. Heavy-duty clutch features sturdy basket and plates designed to harness the power. AGGRESSIVE SE STYLE: Aggressive styling makes the Raptor 700R SE look as menacing as it really is, with added features like a dealer-installed, GYTR® front grab bar and heel guards to match its unqiue graphics package. The mighty Raptor 700R SE is ready to go whether the destination is the dunes, the trails or the track. 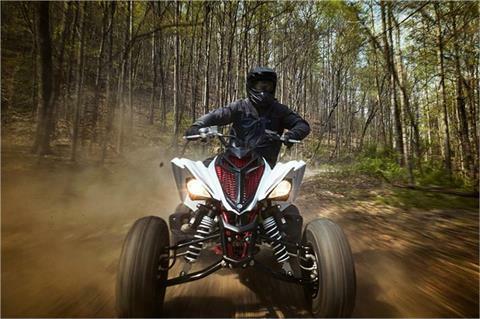 ADVANCED CHASSIS: Big power and lightweight, a combination that makes any ATV rider take notice, is standard on the Raptor 700R SE, with a hybrid steel aluminum frame and Controlled-Fill aluminum sub-frame and cast aluminum swingarm combining to produce a super-strong structure and the lightest ATV in its class. 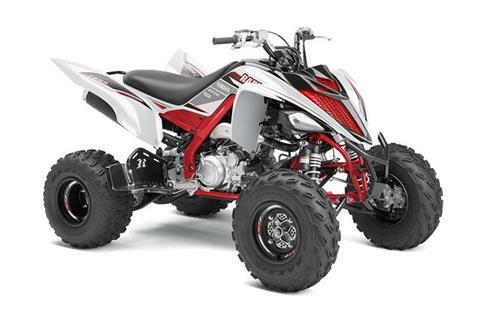 RIDER-FRIENDLY FEATURES: A thick comfortable seat provides excellent comfort while the dual counterbalancers, electric starting, and reverse keep things nice and civilized when needed, but when it comes time to pull the trigger the big-bore Raptor 700R SE stands tall. 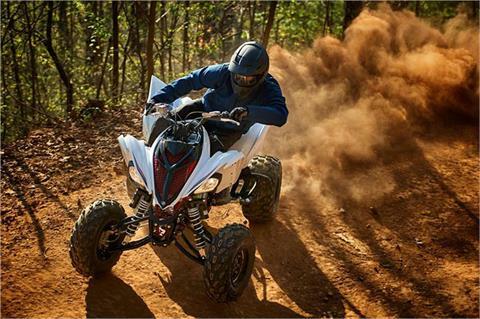 ADVANCED SUSPENSION: The YFZ inspired handling of the Raptor 700R SE is incredible to experience blasting through the woods. 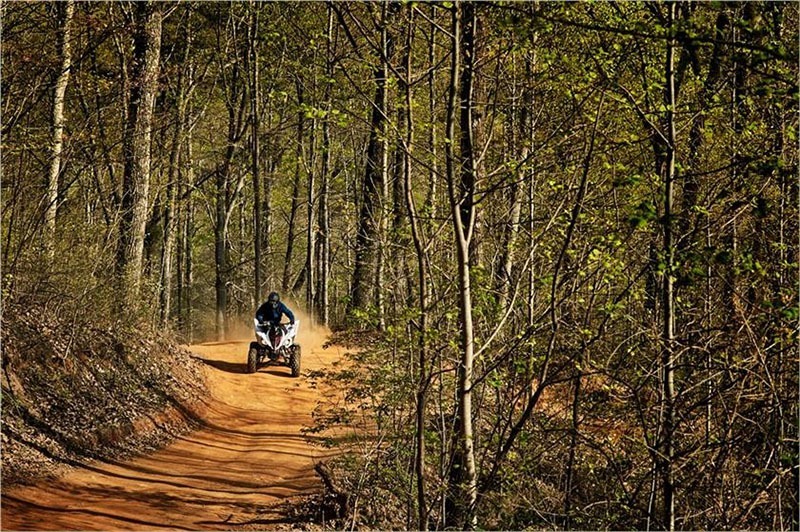 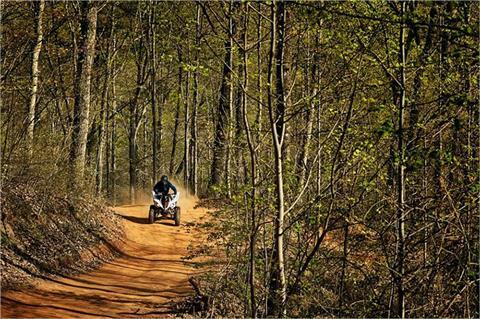 Thanks to the 9.1 inches of front travel and 10.1 inches out back, the trail bumps smooth out while the rider keeps things under control. 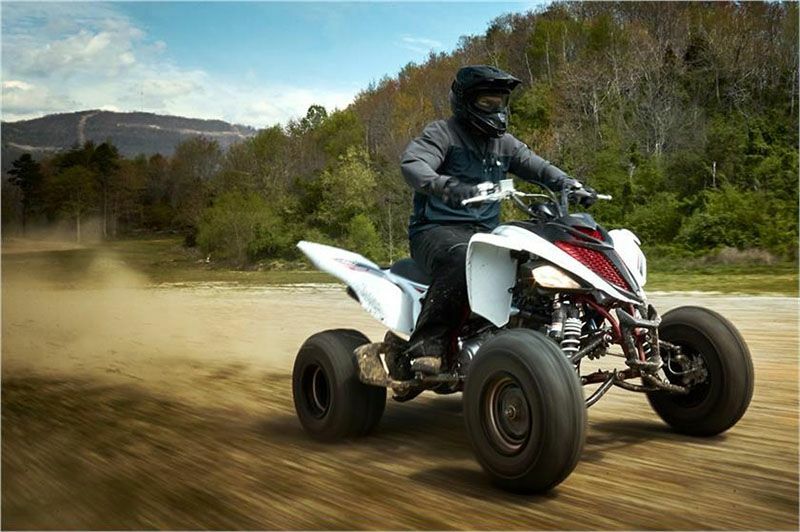 With the combination of power, solid handling, and a great suspension this machine has to be experienced to be fully appreciated.